Thieves know it, but not many home owners know how easy it is to gain access into a home through a traditional garage door. The second that garage door closes, most home owners mistakenly assume that their home is secure, protected from the bad guys. Unfortunately, it’s often one of the first place criminals will check; but don’t worry, there are a couple things you can do to make it even more secure. One of the weakest points of your garage door is the opener itself. Every garage door opener has an emergency release — something that comes in handy should the power ever go out, but also something that is a major flaw in your home’s security. The problem with these emergency door releases is most criminals know how to use them to their advantage. 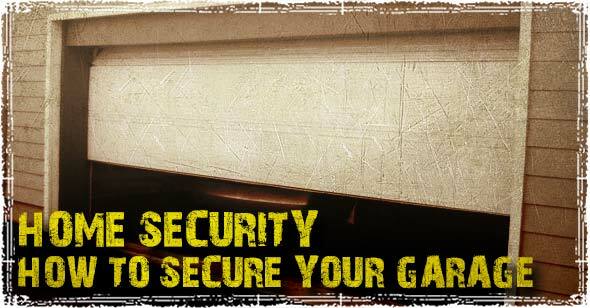 By simply running a wire through the top of your garage door – in the same way thieves used to jimmy old car locks with a Slim Jim – a thief can easily pull the emergency release and gain entry into your home in seconds. Simply running a Zip Tie through the holes in your emergency release switch will make it almost impossible for a thief to use the jimmy method. Keep in mind that the zip tie should only be used when you are going on vacation. I probably would not keep it on there when actually in the home, because during an emergency situation where you need to quickly evacuate having it on the emergency release could be dangerous. 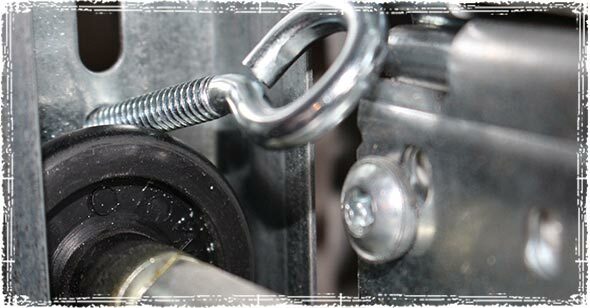 A Heavy Duty Vacation Garage Door Deadlock is a great solution for securing any garage door. They are easy to install, can be found for under $10, and make it that much harder on the bad guy to gain entry through your garage door. The Lever slides right through the garage door track, making it almost impossible for the door to be raised once the lock is engaged. For a quick DIY solution, for those that haven’t purchased a vacation lock yet, simply run a bolt through the track right above one of the track wheels. The only downside to this solution is it takes a bit longer to pull them on and off, so again this is only a solution for when going on vacation. The actual Vacation Lock is a good permanent solution that keeps quick evacuations in mind. Install Security Cameras; Even Fake ones will Work! Criminals are looking for easy targets where they can quickly get away without being noticed; because of this they are often on the lookout for home security systems and cameras. While a full video surveillance system is always your best bet, even installing some fake dummy cameras can be an effective deterrent. 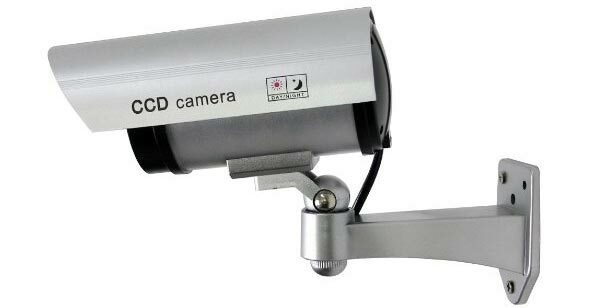 Check out some of these cheap Fake Security Cameras. The Bulldog Garage/ Roller Shutter Door Lock is about as rock-solid as it gets. While it will require you to do some drilling into your garage floor, once installed this thing is pretty hard to beat. More Home Security Tips and Safety Advice. Checklists and step-by-step instructions with information on surviving disasters, man-made threats, criminal attacks, economic troubles and social unrest. Up-to-date survival information for 21st century threats, including the most likely threats you and your loved ones will face. Step-by-step instructions for creating home safety plans, evacuation plans, stockpiling emergency supplies and securing your home from criminals. The Ultimate Situational Survival Guide is available on Amazon and Barnes and Noble. Thank you so much for sharing this. I never knew it was that easy, that’s actually pretty scary. I just went out and shoved a screwdriver through the track until I get the vacation lock. I also had no idea it was this easy and we leave our door open a few inches for the cats. I will be rethinking my security situation and am definitely looking at a new vacation lock. We use the dead bolts on both sides of the door, but you have to remember to shut off the opener so you don’t forget and try to open the door with locks engaged. One aspect missing from this article is that most garages have a side door that opens to the outside. Contractors inevitably use a hollow core door for this exit point, not to mention a most inexpensive doorknob with a simple push in and turn locking mechanism. These should be immediately replaced with a solid core exterior door with a dead bolt…and don’t forget to replace all hinge and lock plate screws with 4″ screws sunk into the door frame. Additionally one should add a heavy steel screen door that mounts onto the outside of all exterior doors, thus preventing any door being kicked in. 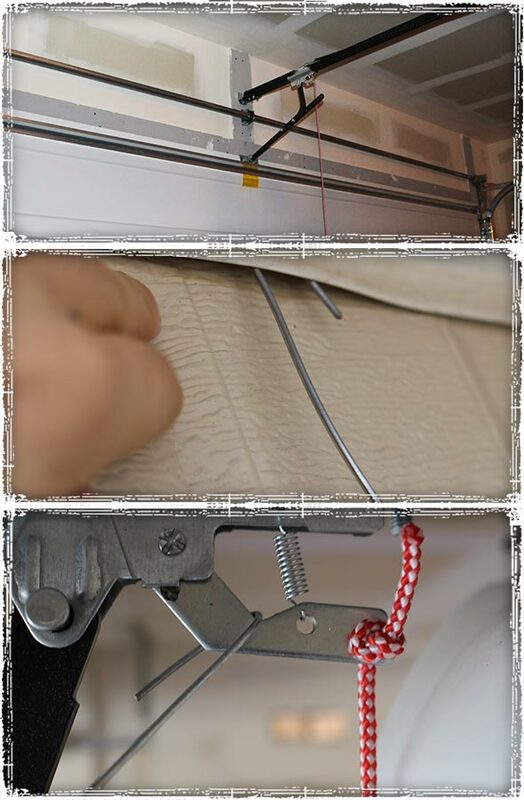 Don’t forget to remove the little red handle at the end of the pull cord. By drilling a small hole through the door and inserting the hook the crooks can simply disengage the emergency release. This method was in use almost 15 years ago. Also examine your own garage closer. The operating mechanism on my is covered by the manufacturer. Making it more difficult to open from the outside. One note for those that do not have a closer but use the muscles instead. Check the locking points for the installed garage door. You should have a sliding type that slides into a receiver mounted on the tracks. 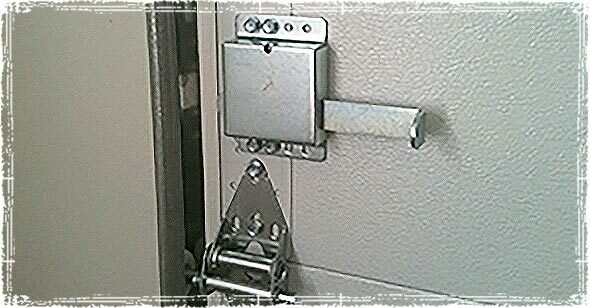 Some cheaper models have a hinged finger type of lock that can be bypassed with a simple bump on each side of the door. Or a strong wind can unlock your door. NONE of these weak points! Thank you so much for providing this information! Don’t forget home invaders will hide nearby when you pull in, then run in behind and pull you out of the car when you don’t expect it. Thats why you carry a gun then when they try and pull you out you pull the gun and they will hopefully go away. The worst thing that could happen is that you would have to pull the trigger with a person standing on the recieving end. I personally have my garage seperate from my house so this is not a problem for me. I can see that this would work for people that live in cities and have their garages connected right to their house. I personally could learn a few things from this and i did. So i want to thank you for good tips and tricks that will help everyone. I have the twist lock with the bars that go through the rails on either side on my door. 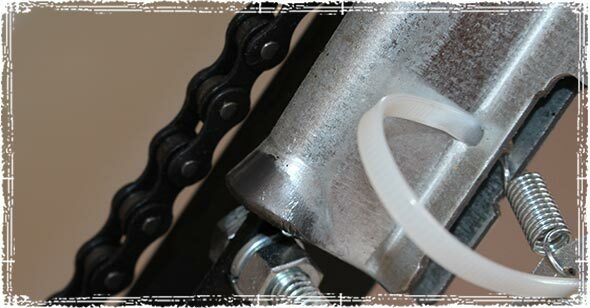 A good way to secure that is a simple piece of good sturdy thin steel rod bent into a ring. Simply lock the door and where the bar goes through the rail, insert the ring into a hole through the bar on the outer side of the rail. This will prevent it from being retracted.